Printed marketing material will help your customers know you better and recall yous services as and when they need any. With your professional flyer or brochure sitting on a potential client's desk, you'll be surprised at how often they'll call. 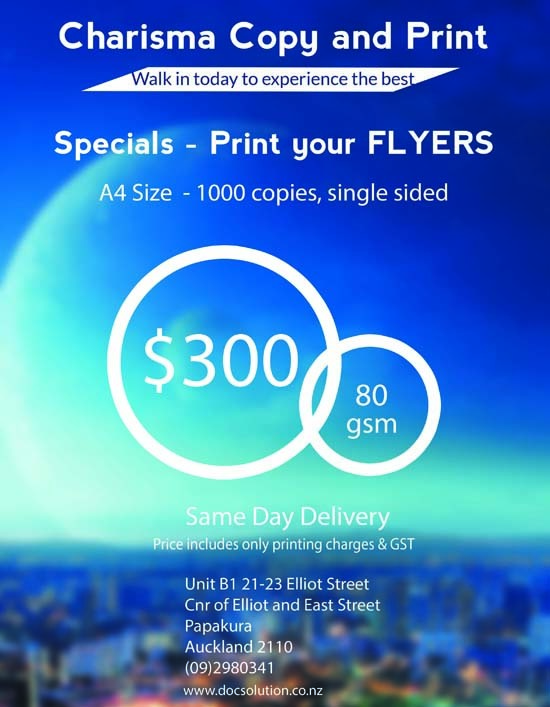 Whenever you are looking to print a brochure of flyer, whether you want a full glossy booklet, or a simple leaflet to hand out. Get in touch with the Charisma Copy & Print team to find out how some simple printed material can keep promoting your business even when you're not there.